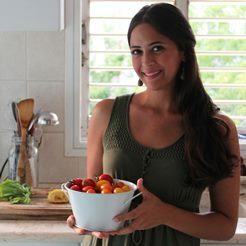 Trying to incorporate more green veggies into your family's breakfasts? This no-fuss one Skillet Egg Bake with Leeks, Swiss Chard, and Feta recipe is quick and easy, and can also be served as a meatless weeknight dinner. Gather around one pan of the freshest vegetables and eggs to give your family a simple warm meal that's as nourishing as it is delicious. 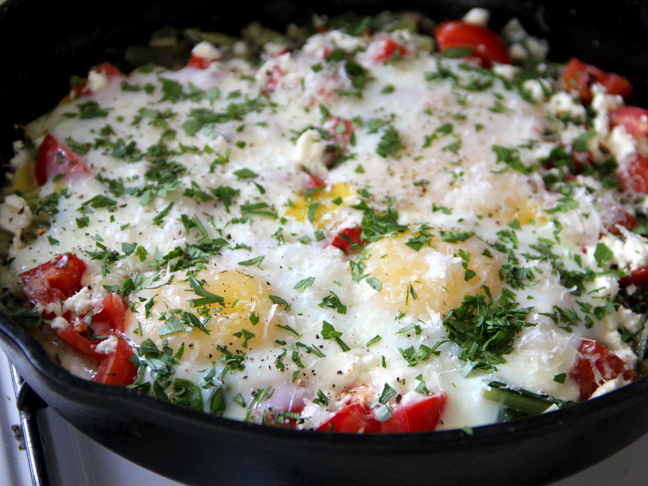 Skillet Egg Bake with Leeks, Swiss Chard, and Feta is simple, nourishing, and delicious! 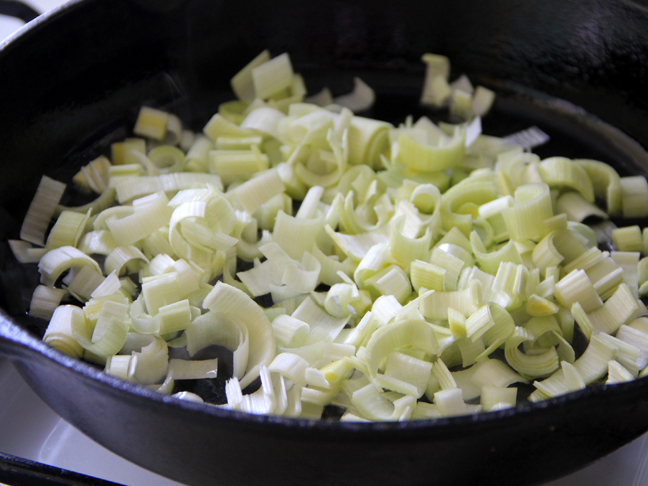 Step 2: Rinse and chop all of your veggies: Cut the leek in half lengthwise, and then slice into ½ inch pieces. Roughly chop swiss chard leaves and the tomatoes, and finely chop garlic clove. Step 3: In an 8 inch, oven safe, skillet heat the olive oil over a medium flame. Sauté leeks until soft and fragrant, about 5 minutes. Step 4: Add swiss chard, and garlic. Keep sautéing for another 3-5 minutes or until soft. 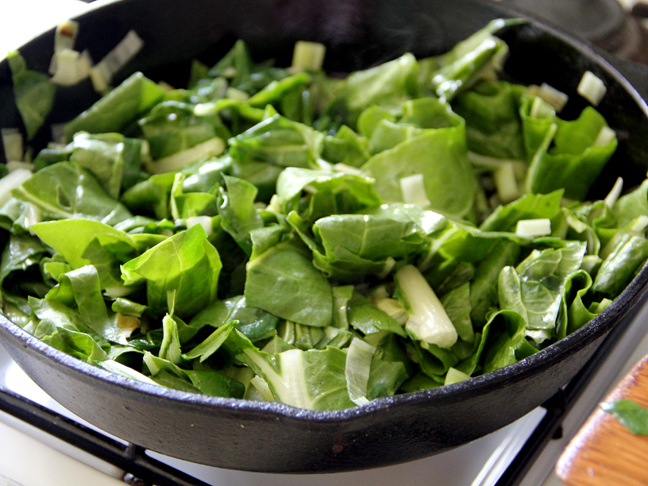 Using a spatula evenly spread leek-swiss chard mixture to create a bed. Step 5: Add the chopped tomatoes, oregano, chili flakes, and season to taste with salt and pepper. 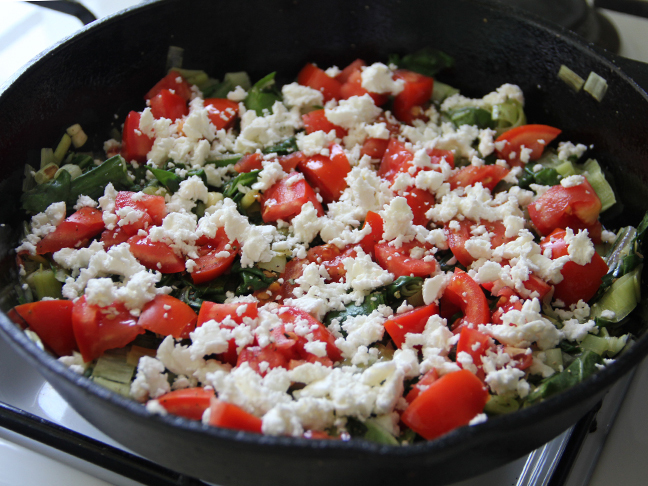 Sprinkle the crumbled feta over the tomatoes. 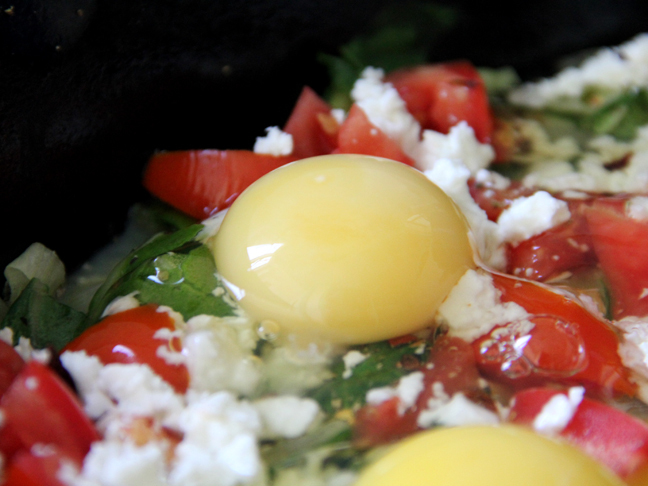 Step 6: Gently crack the eggs over the skillet, trying to keep yolks in tact. Step 7: Turn the flame off, and transfer the skillet into the oven and bake for about 10 minutes, or until the whites are set. Step 8: Before serving sprinkle the fresh parsley and grated parmesan over the skillet. 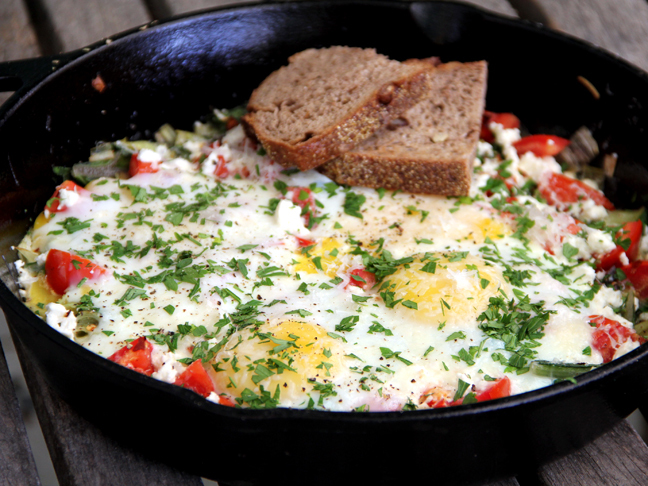 Serve with your favorite whole grain bread.